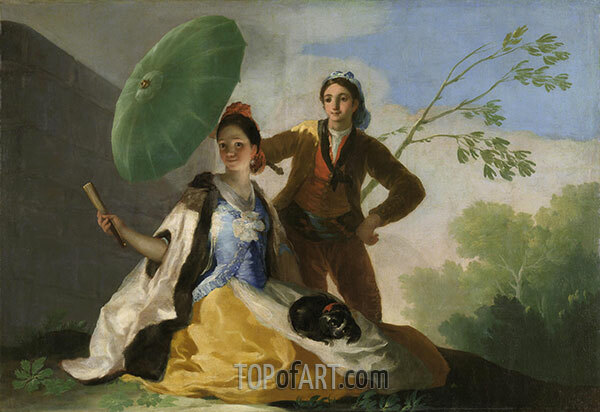 Francisco José de Goya y Lucientes - "The Parasol"
By a wall, the elegant young Spanish girl sits in the sun, from which a Maja shades her with a green umbrella. 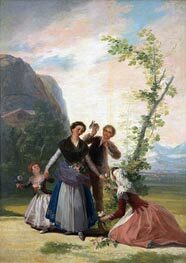 With the tapestry cartoons of the same series, ordered from him by Charles III, this represents the first emergence of Goya's personality as a painter, reflecting in theme and background of woods and brush the French taste brought to Madrid by Houasse and even more the clear, fluent techniques of Giaquinto. 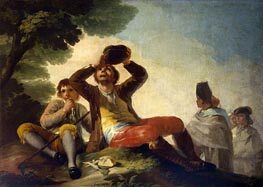 It is a happy, sunny scene, with a gradation of colours which recalls the range of Tiepolo, especially in the abrupt dips in the blacks. 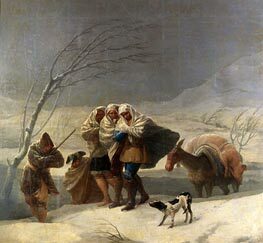 In this and succeeding paintings, Goya's imagination is seen as luminously serene, in a climate without clouds or doubt, torment or pain; a manifestation of joy in life and a paean to its fullness and beauty. We do not frame our oil painting reproductions. Hand-Painted Art Reproduction is an expensive product, and the risks of damaging a painting stretched on a frame during transportation are too high. 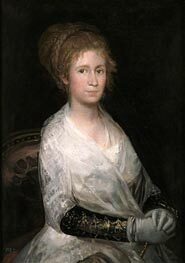 The Parasol by Goya is, therefore, not framed, and will be sent to you rolled up and packaged in a strong and secure postal tube. Your The Parasol Canvas Print is individually hand-made, using sophisticated digital technology. The process of Giclée print technology imparts to the Art Print a vivid clear color, an incredible level of detail, and the authentic charm as from a museum original. The unframed print of The Parasol will be shipped rolled up in a postal tube. The framed Canvas Print will travel packaged in a cardboard box with additional corner protectors.